interstitial lung disease, which focuses on lung diseases marked by persistent inflammation and scarring. Dr. Ravi Bhaskar’s Clinic is known for housing experienced Pulmonologists. Dr. Ravi Bhaskar is one of the top pulmonologist in Lucknow. Currently working as an Assistant Professor of Career Institute of Medical Sciences & Hospital’s Department of Pulmonary Medicine, Dr. Ravi Bhaskar also provides consultancy at the Fatima Hospital where he is a Pulmonologist consultant, Intensivist and a specialist for Bronchoscopy & Sleep Medicine. Completing his MBBS from Allahabad University, Allahabad, he then completed his MD – Pulmonary Medicine from Chhatrapati Shahuji Maharaj Medical University, Erstwhile KGMU, Lucknow. Dr. Ravi Bhaskar holds the Certificate course in Evidence based Management of Diabetes Mellitus from Public Health Foundation of India. Dr. Mohd. Rizwanul Haque is a Tuberculous and chest Diseases Specialist, Pulmonologist and an Allergist/Immunologist at Mahanagar, Lucknow. Dr. Mohd. Rizwanul Haque is one of the top pulmonologist in Lucknow who holds experience of 23 years in the said fields. The doctor currently practices at Shahina Lung Center, Mahanagar Ext., Mahanagar, Lucknow and Shahina Lung Centre, Chowk in Lucknow Chowk, Lucknow. He completed his MBBS degree from Jawahar Lal Nehru Medical College, AMU, Aligarh in 1995. Following that, he also completed MD – Tuberculosis & Respiratory Diseases and Medicine from Jawaharlal Nehru Medical College, AMU, Aligarh in 1999. Dr. Vinay Kumar Mishra practices Pulmonology at Charak Hospital which is in Dubagga, Lucknow. The doctor has 35 years of experience in this field. After completing MBBS from King George’s Medical College in the year of 1978, Dr. Mishra also got a Diploma in Tuberculosis and Chest Diseases (DTCD) from Lucknow’s King George’s Medical College in 1982. The doctor is one of the top pulmonologist in Lucknow. The doctor with his team are a bunch of experienced professionals with a strong belief that the care they provide is comprehensive, courteous, and in the best interest of the patients’ needs. Dr. Atul Mehrotra is MD in General Medicine who also holds a Diploma in Tuberculosis and Chest Diseases, Established in the year of 1988, the Mehrotra Family Clinic run by Dr. Mehrotra was set up with the aim of providing the top of the line healthcare keeping the latest developments of the field in mind. Dr. Mehrotra is a specialist in Diabetes, Pulmonary Care, Hypertension, Gastroenterology, Liver diseases, and is one of the top pulmonologist in Lucknow. The doctor is known to provide an honest opinion and uncompromising healthcare services through his clinic. He also attends numerous conferences across the globe to keep up with the advancements of the field. Dr. Prasoon Kant has been practising medicine for the past 14 years. He is an experienced Pulmonologist in Old Hyderabad, Lucknow. Dr. Kant has helped numerous patients in through his practise. Dr. Kant completed his MBBS from L.P.S Institute of Cardiology, G.S.V.M Medical College, Kanpur in 2004 and MD – Pulmonary Medicine from Motilal Nehru Medical College in 2009. He is currently practising at Shree Clinic in Old Hyderabad, Lucknow, Saans Advanced Chest Care Clinic in Gomti Nagar, Lucknow. Dr. Kant also runs his own Clinic in Gomti Nagar, Lucknow and is also considered as one of the top pulmonologist in Lucknow. Dr. Rahul completed his MBBS and then MD from King George’s Medical University, Lucknow. Dr. Rahul Srivastava is a well experienced Pulmonologist. He has his own practice at the Rahat Vijay Chest Care Center in Lucknow. Dr. Srivastava is a consultant Pulmonologist, Bronchoscopist and Intensivist in numerous hospitals like Shekhar Hospital and Metro Hospital. He is known across the nation for handling a number of critical Pulmonary cases. He has handled patients with conditions like Acute Bronchitis, Acute Lung Injuries, Acute Respiratory Diseases, Acute Rhinitis, and Acute Upper Respiratory Infection. And because of such achievements he is also counted as a top pulmonologist in Lucknow. Dr. Surya Kant Tripathi is a faculty member at King George’s Medical University, Lucknow. He is also the Head of the Department of Pulmonary Medicine there. He is one of the top Pulmonologist in Lucknow city, who has been awarded on numerous occasions for his professional accolades. Dr. Tripath holds a gold medal for his exceptional performance in his MD examinations. Following this, Dr. Tripathi started practicing and has become of the leading experts of his field. 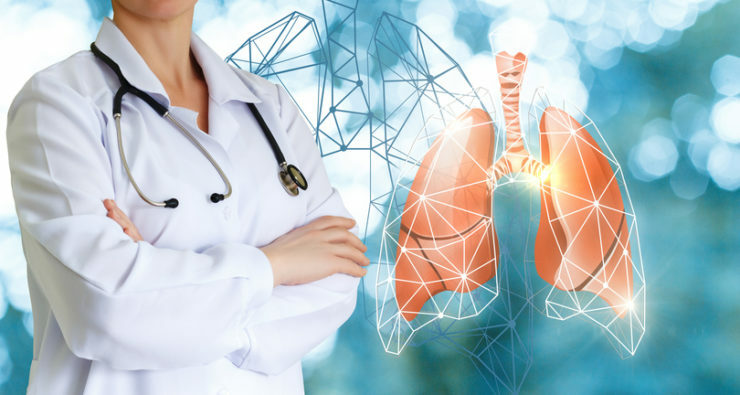 He has been known to treat patients suffering from TB, Asthma Allergy, COPD, Sleep Breathing Disorder, Interstitial Lung Disease (ILD) and life threatening Lung Cancer. In the list of top pulmonologist in Lucknow, Dr. Alok Srivastava also secures a place. He has been practicing at Sahara Hospital in Lucknow as a consultant of Pulmonology. He has completed his MBBS along with MD in Pulmonary Medicine and MNCCP. He was a Senior Registrar at L.R.S Institute Of Tuberculosis And Respiratory Diseases, New Delhi For 3 years. He also had been a specialist In Metro Hospital, Noida under the supervision of Dr. Deepak Talwar For 6 Months. His area of expertise are treatment Of Airway Diseases Like Asthma And Copd, Obesity Hypoventilation Syndromes, Interstitial Lung Diseases and Resistant Tuberculosis Cases. Dr. Sneha Chaurasia is one of the top pulmonologist in Lucknow who also has experience in Critical Care Medicine in Gomti Nagar. She has been practicing for the past 10 years. Dr. Chaurasia is available at the Saans Advanced Chest Care Clinic in Gomti Nagar, Lucknow. After completing her MBBS from Baba Raghav Das Medical College, Gorakhpur in 2004, Dr. Sneha got an MD in Pulmonary Medicine from Motilal Nehru Medical College in 2008. She has treated patients with conditions like Tuberculosis (TB) Treatment, Chronic Obstructive Pulmonary Disease (COPD) Treatment, Nicotine/Tobacco (Smoking) De-addiction Treatment,Sleep Disorder Treatment and Balance Exercises etc. Dr. Manoj Agarwal also secures a place in the list of top pulmonologist in Lucknow. He has been practicing as a consultant of Pulmonology. He has completed his MBBS along with MD in Pulmonary Medicine. He is known across the nation for handling a number of critical patients with conditions like Acute Bronchitis, Acute Lung Injuries, and Acute Respiratory Diseases. His contribution to the healthcare industry of India is significant and patients go under his care get the best possible treatment and care. Dr. Rajeev Garg is one of the top Pulmonologist in Lucknow. He has completed his MBBS and MD in Tuberculosis And Respiratory Diseases. Apart from holding a fellowship in the National College of Chest Physicians he also has a fellowship in International Continence Society. He uses state-of-the-art medicinal practices to treat his patients while also keeping in mind their best interests. He has won several accolades not only during his academic years but also as a practicing professional. Patients under his care always leave a positive remark for him. He has over 10 years of experience in his field of work. Dr. Rajeev Garg is one of the top Pulmonologist in Lucknow. He has completed his MBBS and MD in General Medicine. He practices in multiple hospitals and clinic in Lucknow and is critically acclaimed for his work and contributions. The doctor is known for his humility and kindness. His sense of professionalism is unparalleled and always prioritizes the interests of his patients over anything else. He holds significant amount of experience in his field of work and over the years he has handled some of the most critical pulmonary cases.